If you’re into vintage watches, chances are you’ve com across the name of Cay Broendum – for example in this interview from back in 2013 on Hodinkee. 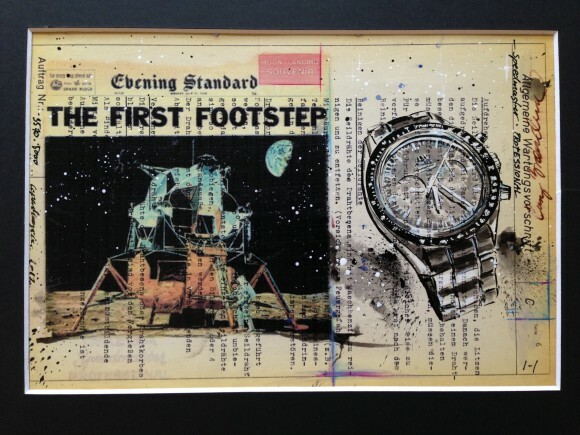 Cay likes watches and being an artist, illustrator and overall creative mind, he’s known in watch collecting circles for the illustrations that are a perfect unity of his professional skills and his passion for watches. 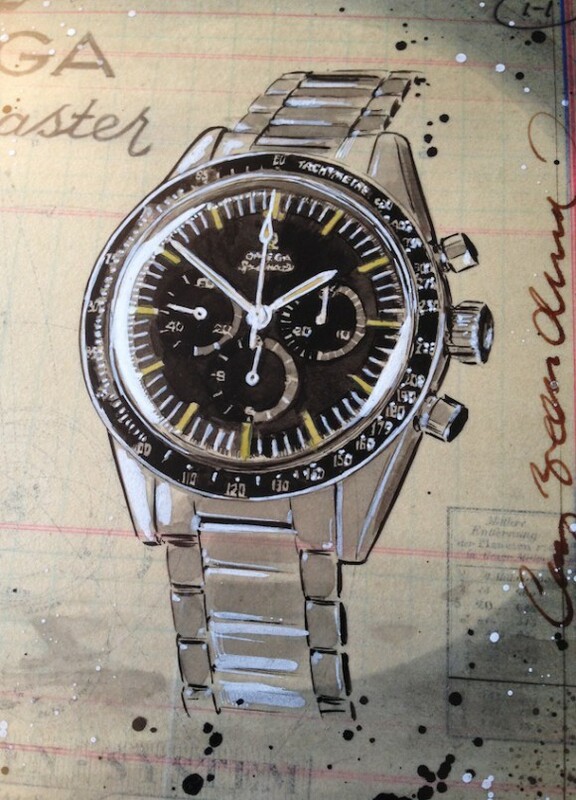 ‘A thing I can tell you: after my 15 years of watch-limbo using a phone to tell time, I got a 3570.50.00 Speedmaster. Than came the infection! 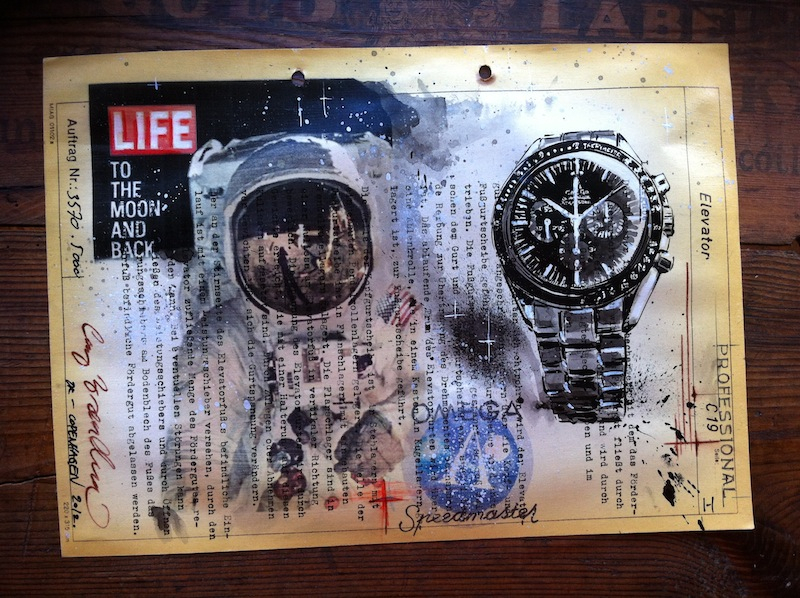 Since than the world of vintage sports watches has thrilled my mood and inspired me as an artist throughout the day. ‘Tomorrow I’ll pick up a brand new ‘Racing’ Speedmaster, a.k.a. the Destination Moon or TinTin. I’m looking forward to it as a kid on Christmas Eve… My first brand new watch ever! The story with this watch just got me. The story behind it to me has the x-factor. This kind of storytelling and myth makes a watch so much more than just a timekeeper. Storytelling is what it’s all about, and that’s what I try to do with my watch paintings or Historic Horological Art. Thank you Cay for sharing your passion and work with us! Make sure to check out Cay Broendum’s website, blog and follow him on Instagram. 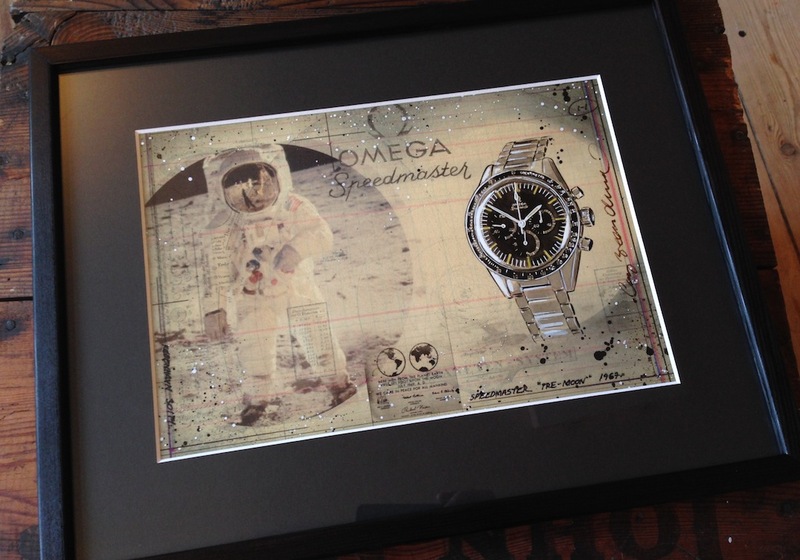 For the time being, the Omega Speedmaster Professional Racing / Destination Moon / TinTin is still available over at Ace Jewelers. This entry was posted in Editorial, Speedmaster Professional and tagged Art, Cay Broendum on July 22, 2016 by Dale Vito.